If you want to listen to commercial-free music while travelling in your car, it is worth your while looking into Satellite radio, see How you can install satellite radio in car Audio System. A lot of newer cars comes with a factory installed Satellite radio as part of their sound system, but if your car does not have one, do not despair, because with a few simple steps you can now add this to the existing system. The sound quality and variety of music may also be just what you were looking for. Satellite radio has many advantages. Satellite providers have a wide range of channels for a variety of different tastes which means finding some good tunes out of mainstream to listen to is more than possible. The available music channels are so diverse that you can explore not only genres but multiple subgenres. You will discover a lot of interesting stuff across the airwaves that you never knew existed or were exposed to on your general local radio stations. You could also tune into the traffic report, news, sports and weather any time you choose. Most radio signals only travel 48 to 64kilometres from their source. When doing a long trip you may have to change radio stations around every hour as the signals fade in and out. Long drives to remote locations may even cause you to be forced to listen to one station only, or at worst, none at all. So imagine tuning into a station that can broadcast its signal more than 35 000 kilometres , not having to scan through static to find a signal, and enjoying crisp clear sound all the time. Sure, satellite radio does have its dead spots or areas where reception is not great, but these areas are generally few and far-apart. This technology works on the 2.4 Ghz band in North America and the 1.4 Ghz band in some other parts of the world. A ground station transmits signals from the various radio stations to a satellite, which in turn gets rebroadcast so that you can tune in while sitting in your car. Similarly to TV satellite, bad weather at the base or receiving side could affect your signal, but in fair weather the signal are crisp clear. In some urban areas, ground stations also repeat the signal, to allow you to have reception where the signals are blocked by high rise buildings or geographic features. 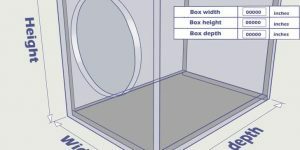 Since a license permits the available bandwidth, service providers can only have a limited number of channels, after which they must start reducing the broadcasting quality of all available stations to fit in a new station, so stations are normally chosen with great care, to give you, the customer, the best experience possible. The first of three systems you can choose from is a receiver and tuner unit. While the tuner is usually installed in the trunk of the vehicle, the receiver plugs directly into your existing sound system. The second system comes as a standalone device, being set up entirely in your dashboard like a normal car radio. 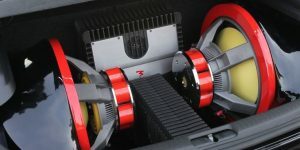 The third system is a dock-and-play type that can be put in and taken out of your vehicle as needed, but you will have to check that your current system accommodates this type of device by means of a front audio input. 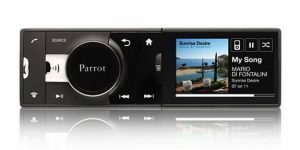 These units sometimes also includes a speaker, so you are able to use it like you would normally use a portable radio. Highly portable, this choice is best for people on the move. 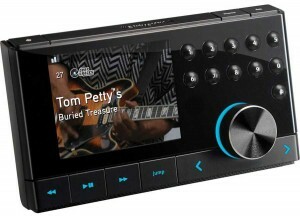 Should you be using a portable dock-and-play Satellite radio, you need not worry about installation. You plug it into your car’s stereo receiver as and when you need. 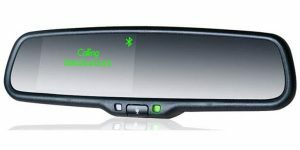 However, the other two types of satellite radio will have to be installed. 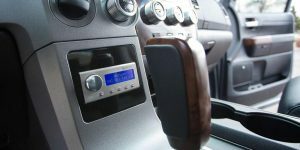 If you are an avid fan of car audio, you may want to install the satellite radio by yourself, however, the average shopper tends to opt for a professional installation. The final step to your Satellite radio system is to set up a subscription. The luxury of commercial-free radio unfortunately comes at a cost. Due to the fact that Satellite radio avoids broadcasting commercials, the subscriber primarily pays for the service. Subscriptions vary in length, of which the most common is 12 months. As long as you are using your subscription, it never hurts to set one up. A very popular satellite radio service currently running in North America, allows you to listen to a total of 134 radio streams. 69 of these streams, or channels in analogue terms, are dedicated to music while the other 65 hosts a variety of sports, news and entertainment channels. These broadcast 24-hours daily, uncensored and complete free of commercials. Some talk shows however contain their own commercials.